Update: Don't expect blazing speeds when traveling overseas. T-Mobile chief marketing officer Mike Sievert told CNET that the average speed is about 128Kbps. So, you won't be watching any YouTube videos – but it'll get the job done if you need to check email or grab a map. This announcement comes alongside another milestone for Team Magenta: its 4G LTE network is now nationwide, covering "more than 200 million people in 233 metros across the United States." It completed this rollout months ahead of the initial schedule, according to T-Mobile chief technology officer Neville Ray. Not bad, T-Mo. For a full list of coverage areas, check out this PDF. But that's not all. 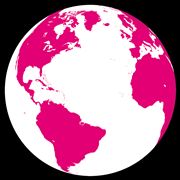 U.S. customers who wish to call overseas can now do so more affordably than ever – with T-Mobile's Stateside International Talk & Text plan, they'll never pay more than $0.20 a minute to any country in the Simple Global network. And calls to landlines in over 70 of those countries cost nothing extra at all. Like only its CEO John Legere could, T-Mobile announced all this in style – with a concert by now-T-Mobile collaborator Shakira in Bryant Park, NYC. Looks like we're going to be seeing a lot more of her in Pink moving forward. NEW YORK - Oct. 9, 2013 - T-Mobile US, Inc. (NYSE: TMUS), America's new No. 1 choice in wireless, is again upending and innovating the wireless industry, delivering unlimited global data at no extra charge in 100+ countries - making the company's home data coverage area larger than AT&T's and Verizon's combined. Tonight, at a concert event for thousands of its customers at New York's Bryant Park, featuring international superstar and new T-Mobile collaborator Shakira, the Un-carrier announced that it is tearing down borders and walking away from the U.S. wireless industry practice of charging exorbitant international roaming rates. "The cost of staying connected across borders is completely crazy," said John Legere, president and CEO of T-Mobile US, Inc. "Today's phones are designed to work around the world, but we're forced to pay insanely inflated international connectivity fees to actually use them. You can't leave the country without coming home to bill shock. So we're making the world your network - at no extra cost." Americans take about 55 million trips to destinations outside the U.S. every year. When U.S. customers use their phones abroad the way they normally do at home, their costs often total $1,000 a day or more. So more than 40 percent of customers turn off data roaming completely. Another 20 percent more say they would if they knew how. The toll these roaming fees take on individuals and businesses is huge. Whether traveling for business or pleasure, wireless customers face a hard choice - use their phone when they need it and pay through the nose, or cut off communications to contain costs. "It doesn't have to be this way," Legere said. "The truth is that the industry's been charging huge fees for data roaming. But what's most surprising is that no one's called them out - until now." T-Mobile tonight announced that it's expanding the home data coverage for most Simple Choice customers to include more than 100 countries, at no extra charge. Starting Oct. 31, these Simple Choice individual and business customers automatically get unlimited data and texting in more than 100 Simple Global countries worldwide, and they will only pay a global flat rate of 20 cents per minute for voice calls when roaming in the same countries. Eligible customers on T-Mobile's popular Simple Choice plan won't have to activate anything or pay an extra monthly fee. And, for customers in the U.S. wanting a saner, more affordable way to stay connected with friends, family and colleagues worldwide, T-Mobile's got them covered, too. The company announced tonight its new Stateside International Talk & Text feature for discounted calling and texting from the U.S. to all Simple Global countries. Customers never pay more than 20 cents a minute to any number in any Simple Global country, including mobile to mobile. Calls to landlines in more than 70 of these countries are unlimited and included at no extra cost. Unlimited texting is also included to all countries. Stateside International Talk & Text is available to most Simple Choice customers for just $10 a month. "We've not only delivered nationwide 4G LTE months ahead of schedule," said Neville Ray, chief technology officer for T-Mobile. "Our nationwide 4G LTE is right on top of our already nationwide 4G HSPA+ network - which translates to one wicked-fast combined 4G network experience." In recent third-party tests involving millions of results from real customers nationwide, T-Mobile's 4G LTE nationwide network delivered faster speeds than the 4G LTE networks of Verizon and Sprint. In addition, T-Mobile's 4G LTE network already has faster median speeds than AT&T's 4G LTE network in 10 of the top 20 metropolitan statistical areas. In fact, T-Mobile's new nationwide LTE network delivers 4G LTE speeds more consistently than any of the national providers. "Today is all about bringing the world closer together," Shakira said. "I'm excited to partner with T-Mobile and look forward to being able to share my music in new and innovative ways." As part of the relationship, T-Mobile will support Shakira's upcoming single and album releases to create unique T-Mobile customer experiences. T-Mobile is breaking the traditional sponsorship mold and creating a unique partnership where the company and the artist will work together to help amplify key messages and initiatives for each other, which will also include a select number of special events for the public and exclusive fan engagement activities. These announcements build on months of momentum since T-Mobile kicked off its Un-carrier consumer movement earlier this year. Since then, the company has enjoyed a groundswell of support from U.S. consumers signing on in record numbers, making T-Mobile America's No. 1 choice in wireless since its Un-carrier launch in late March - with more net new postpaid customers than AT&T, Verizon and Sprint combined. No. 1 choice in wireless based on T-Mobile's net postpaid subscriber additions vs. those of the other major national carriers in Q2 2013. 4G LTE speed claims based on third-party speed testing data. Taxes & fees are additional for services and features. Home data coverage is the area where customers receive data services included in their plan. 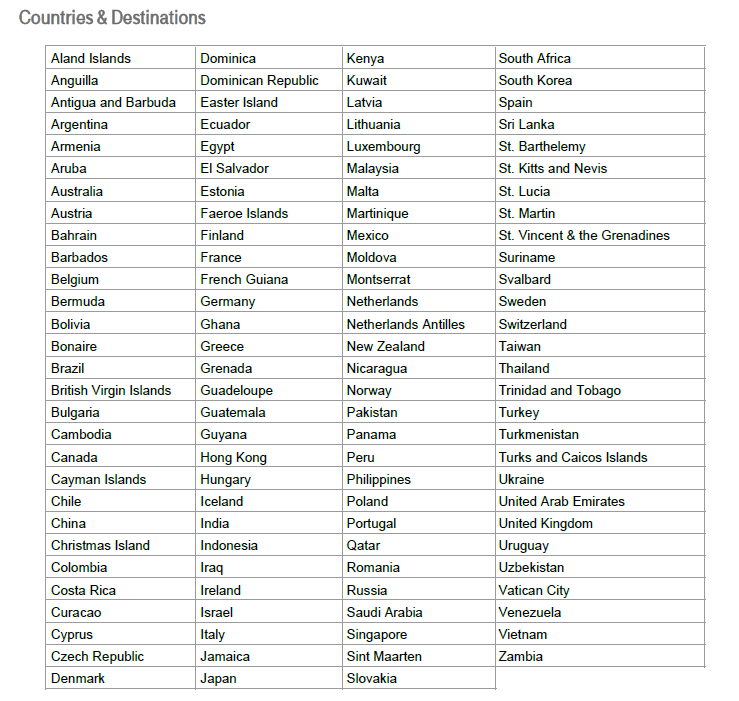 Global data coverage with capable device; not for extended international travel. See details & included countries at http://www.T-Mobile.com.